Harrison Schmitt and William Happer wrote an excellent op-ed last week in the Wall Street Journal titled, “In Defense of Carbon Dioxide.” In the op-ed, Schmitt and Happer build a solid case for the benefits, as opposed to costs, occurring from an increase in the much maligned carbon dioxide. Schmitt, who is an Adjunct Professor of Engineering at University of Wisconsin-Madison, has a distinguished reputation as an Apollo 17 astronaut and was formerly a US Senator from New Mexico. Happer is a Professor of Physics at Princeton University and was also the former director of the office of energy research at the Deparment of Energy. Despite the strong argument both authors have made, several climate change alarmists have excoriated Schmitt and Happer. In attempt to discredit the op-ed, these alarmists have resorted to using hackneyed arguments and insults to reaffirm their opposition to what they see as a flawed and misleading op-ed. Gavin Schmidt called the op-ed, “idiotic”, and Phil Plait of Bad Astronomy, in a reference to the discredited “Hockey Stick Graph” claims the op-ed ignores the graph’s depiction of rising temperatures. Contrary to the claims of these detractors, Schmitt and Happer’s op-ed is well-supported. 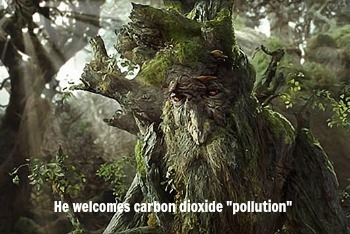 According to numerous peer-reviewed studies, increases in carbon dioxide will lead to a “greening of the planet” as plants absorb the carbon dioxide allowing them to flourish well-beyond their current state. Therefore, as Schmitt and Happer so ably demonstrate, it is imprudent for policymakers to continue to classify CO2 under the category of harmful “pollutants”. By implementing such policies, we are being steered towards a disastrous outcome for our economic future.